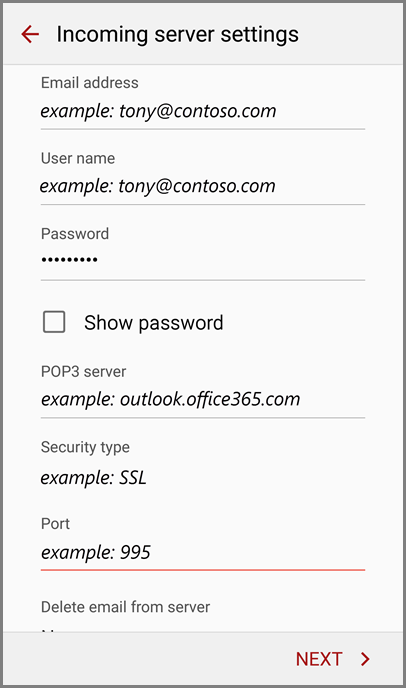 Type your full email address and your password, and then select Manual. The type of email service you should use is IMAP. Domain\Username Type your full email address in this box. 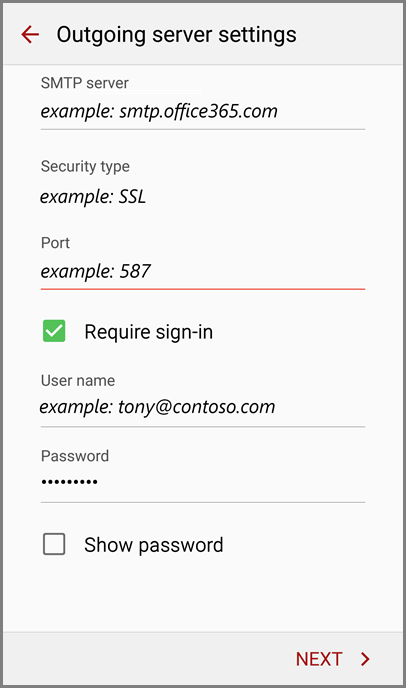 If Domain and Username are separate text boxes in your version of Android, leave the Domain box empty, and type your full email address in the Username box. Security type Select your security type. Chose NONE or NO SSL option. Port number Add the port number: 143. Tap Next. SMTP server Type your SMTP server name. mail.[YOURDOMAIN].com. Security type Select your security type. NONE or NO SSL. Port number Add your port number: 26. Tap Next. 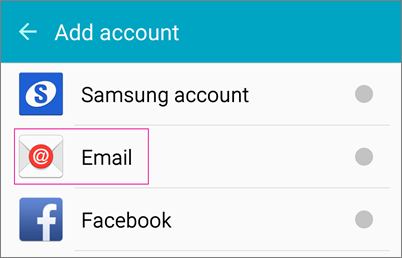 In Account name type a name for this account and the name you want displayed when you send e-mail to others.